Scott Walker, one of the most enigmatic and influential figures in rock history, has died at the age of 76. The US star, whose songs included The Sun Ain’t Gonna Shine Anymore and Joanna, influenced everyone from David Bowie to Jarvis Cocker. He found fame as a teen idol in The Walker Brothers, where his dark baritone hinted at something deeper. That was borne out in his experimental solo albums, which explored the complexities of love and death. Walker’s death was confirmed by his current record label, 4AD, who called him “one of the most revered innovators at the sharp end of creative music“. Born Noel Scott Engel in Ohio, 1944, Walker initially pursued a career as an actor, before hooking up with John Maus and Gary Leeds to form the misleadingly-named Walker Brothers. After a false start in the US, they relocated to England, where they caused a huge sensation, scoring number one hits with Make It Easy On Yourself and The Sun Ain’t Gonna Shine Anymore. For a while, the band were as big as the Beatles, greeted by screaming fans everywhere they went. At the height of their fame in 1967, when Walker was still considered a heart-throb and a potential superstar, he called time on the band and ran away to a monastery on the Isle of Wight. Not, as rumour had it, because of a nervous breakdown, but to study Gregorian chant. He remained disillusioned with the industry until his girlfriend introduced him to the music of Jacques Brel, whose literate, passionate torch songs inspired him to embark on a solo career. Walker’s first four solo albums, Scott I to Scott IV, juxtaposed lush, orchestral pop with dark existentialism; and his lyrics were frequently scattered with characters from society’s margins – prostitutes, transvestites, suicidal brooders and even Joseph Stalin. “He took music to a place that it hasn’t actually ever been since,” said Brian Eno, who counts Walker as a key influence. Amid falling sales, he staged a brief, largely unsuccessful reunion with the Walker Brothers in the mid 1970s; and used a lucrative deal with Virgin Records to pursue some of his most abstract musical ideas on 1984’s Climate of Hunter. The record divided fans and critics – it is reputedly Virgin’s lowest-selling album of all time – and Walker bowed out of music and the public eye for almost a decade. “A friend of mine says I’m not a recluse, I’m just low-key,” said the singer about his extended absence. 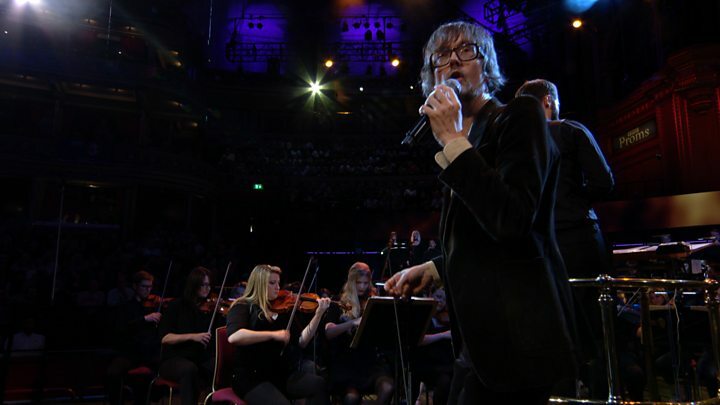 Highlights from the Songs of Scott Walker Prom. When Walker returned in the mid-90s, it was with Tilt, a collection of fraught, uncompromising tone poems that marked a new creative chapter. “Imagine Andy Williams reinventing himself as Stockhausen,” wrote The Guardian’s Simon Hattenstone in a profile of the singer. Walker went on to collaborate with Pulp, producing the 2001 album We Love Life, and recently completed the score to Natalie Portman’s film Vox Lux. Radiohead’s Thom Yorke said he was “so very sad” to hear of Walker’s passing, saying he had been “a huge influence” on both the band and himself. The singer-songwriter said he had met Walker once at the Meltdown arts festival in London and found him to be “such a gentle outsider”. Actor and writer Mark Gatiss responded to Yorke’s post with a plaintive “No! !” and a pensive face emoji. Musician Richard Hawley told the BBC in 2017 that Walker was “one of the greatest singers of all time”. Singer Marc Almond said he was “absolutely saddened [and] shocked by the death of Scott Walker. Walker is survived by his daughter, Lee, his granddaughter Emmi-Lee, and his partner Beverly.